Bought some off you at the swap meet. It’s seriously the best product I have ever bought. I just ordered two more. Best sunscreen I’ve ever used. It’s nice not to be afraid of the sun anymore. Thanks! Used this sunscreen on our vacation to Maui, it worked wonderfully! I got somewhat red the day I didn’t use it, and ended up using it before bed to help the healing process (the Vitamin E and coconut oil are great for that!) and it helped wonderfully. Best sunscreen I’ve ever used. I’m prone to sunburns being basically see through. I’ve found that anytime I use it for a day at the park to a full blown camping trip in the sun all day. It works amazing! We even used the product on our infant because we felt so comfortable with the quality and care of what it’s made from! Keep doing beautiful things! I used this sunscreen every day while in Tonga on my adventure of swimming with and photographing the humpback whales. In and out of the ocean alllll day for days in a row, and it worked amazingly!!! I shared with anyone who would try it. Love the smell, love the natural ingredients without the white paste;) and especially love that it kept my ocean friends safe too!!! I stopped and picked up Raw Love sunscreen the day we arrived for two reasons. 1) I believe in supporting local 2) I wanted to do my part to help save the reefs. So here I am, 5 very active days into my Maui visit and I am so excited because it is a fabulous sunscreen. I am a very pale skinned person and am still the same shade as I was when I arrived. Truly, my goal is to go home the same color, because the other option is lobster red! Thanks for creating such an amazing product! Hi Jenna, We met you at the swap meet in Maui and purchased your sunscreen. We live here all winter then return home to Aspen in the summer. We started using your product and found it absolutely amazing. We are outdoor sport people and we are so protected using your product. Our kids and grandkids came for a 10 day visit and of course, we brought out the sunscreen. They wore it every day and not a spot of pink anywhere to be found. I just ordered 4 more jars to be sent home from your website. I just wanted to let you know how absolutely fabulous your product is. This stuff is THE BEST! My son has bad eczema and very sensitive skin. We just spent a week mainland on the eastcoast, with a couple 5 hour beach days- including a day where most our party went home burned- and his skin wasn’t the slightest bit red. I only applied once, it worked so well. We usually use Badger Sunscreen, but I like the consistency and ingredients list of this better. Thanks for the great product! Great product, and safe for you and the environment. Also works great for sunburn and after tattoo care. The first few days of vacation I didn’t apply anything and got quite burned. After applying Raw Love the burn no longer hurt, and never pealed. I swam in the ocean and it never washed away. A very little goes a long way. After using it the rest of the trip, I didn’t burn once. This is the best sunscreen I’ve ever used, and I’ve tried at least 100 over the last 20 years or so. I have extremely fair skin, and I simply cannot be in direct sunlight unless I want blotchy skin, and it only takes a few minutes for this process to begin. Oxybenzone (an ingredient intentionally not used in Raw Love) worked for me for a while, but then it became completely ineffective a couple of years ago, around the time a mutual fb friend (Ian?) posted about Raw Love. I gave it a try, and it offered me protection I’ve never experienced before. I don’t have to fear the sun anymore, and I no longer consider it my enemy! I carry a tiny pocket-sized tin (available on the website) with me everywhere I go. As a side note, zinc oxide — the primary active ingredient in Raw Love — provides by far the best protection of any active sunscreen ingredient in my experience. Because of the way it works, it will leave a slight tint on your face, which doesn’t bother me at all; however, if you are uncomfortable with it, simply apply the sunscreen, wait a few minutes, and then rub it in further with a good face oil. I use an olive oil and beeswax blend (Badger Balm), or my own coconut and olive oil blend. I’m happy to answer any questions about this product via public or private message. I don’t endorse products unless they’re truly special, and this one has allowed me to not fear nature anymore — I’d say that’s pretty special. 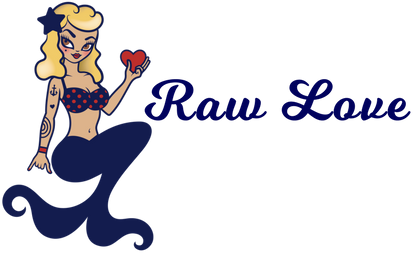 Encourage your ‘ohana to switch from chemical sunscreens to reef friendly natural sunscreens like Raw Love.